With war on the horizon in the early 1940s, President Franklin D. Roosevelt instructed Larry Bell, the New York–based founder of the Bell Aircraft Corporation, to build a bomber factory in the Atlanta area. The country needed B-29 Superfortress bombers to fight Nazi Germany, and it needed them fast. A group of boosters from Cobb County pitched the perfect site: a cotton farm and field of trees in Marietta. The investment turned Cobb, until then a sleepy suburb, into an economic powerhouse. At the height of the war in 1945, more than 28,000 people—37 percent of whom were women—worked at the 4.2-million-square-foot Bell Bomber factory. At the time, it was the largest industrial complex ever built in the South. The factory produced more than 650 bombers, some of which were used in the Pacific Theater. Shuttered immediately after the war, the factory was used for government storage and offices until 1951, when the Lockheed Corporation used the space to refurbish B-29s for the Korean War. 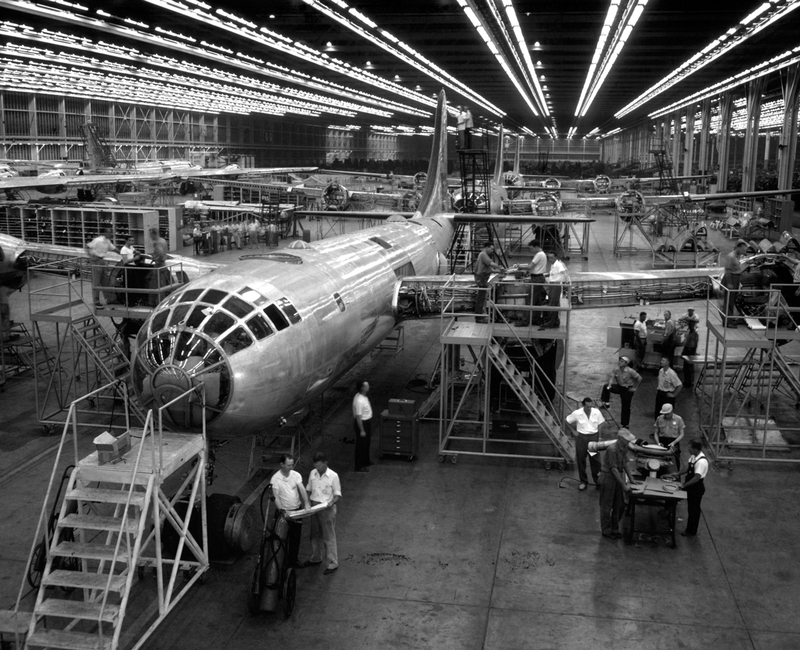 Now operating as Lockheed Martin, the factory remains one of Cobb’s largest employers.